Affiliations are for identification purposes only. Endorsement of risk analysis by these individuals does not reflect endorsement by their institutions, nor does it imply endorsement of all elements of this web site. The Stanford members of that group, joined by their colleagues former Secretary of State George Shultz and former Secretary of Defense William Perry as well as former Supreme Court Justice Sandra Day O'Connor, also support our effort to create a pocket of nuclear awareness on the Stanford campus. Become educated on this issue. Create awareness within your own social groups. Encourage friends to become involved. Keep up to date via the JOIN US box in the margin, just to the left. Do you advocate unilateral nuclear disarmament? No. Unilateral nuclear disarmament is neither feasible nor desirable. It is a non-issue. Do you advocate nuclear disarmament? We advocate reducing the risk posed by nuclear weapons until it reaches an acceptable level. My research indicates that will require reducing the risk thousands of times over. Such a major reduction will require a long-range, multi-step approach, and may well require ridding the world of nuclear weapons. But, if nuclear disarmament is needed, that is better discovered farther out in the process, when it will not sound as fantastic and unachievable as it now does to most people. Even people who are convinced that nuclear disarmament is part of the ultimate solution can use the tools presented here to further their goal. (Disclosure: I am one of them. In fact, I believe that much more will be needed.) But, when I first was confronted with these issues, it took me considerable time to get my mind around what I now see as the solution. If someone had pushed me to see too much too fast, I would have run the other way. In the same way, we need to create a broad path that more people can explore. If I am right about the solution, they will discover it at their own pace, just as I did. If I am wrong, I will discover that later in the process, but in the meantime, my error will not stop others from participating in the solution process. How do you propose solving this seemingly insoluble problem? making information on the nuclear threat accessible to a broad audience. Although it can be read in under five minutes and does not require any specialized knowledge, our home page has all the essential information you need. encouraging people to take the five simple actions listed above, in the section "How can I participate?" Don't we need TV coverage and politicians to get on board? While mass media will be important in changing society's thinking about nuclear weapons, by definition they only cover topics of mass interest. This is another instance of the catch-22 that few will work on this issue before many are doing so. We overcome that seeming paradox by creating small, localized pockets of nuclear awareness that then can spread to society as a whole. Similarly, political leaders cannot propose new approaches to national security when the vast majority of the population would mistakenly see them as unnecessary or dangerous. Again, we need to reach a critical mass of awareness and understanding before political action becomes possible. So, again, starting small and branching out is the way to go. What about global warming and environmental degradation? Don't those issues demand our urgent attention? This question is answered more fully in Section 6 of our Nuclear Reader, but here's a short summary: The underlying problem in all these areas is society's reliance on trial and error, waiting for direct evidence of an error before correcting our societal actions. While that approach was possible in earlier times, it will not work in the nuclear age. 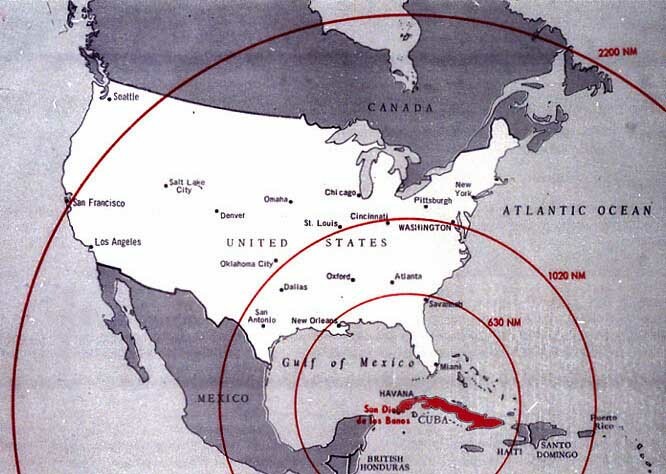 If we wait for direct evidence that nuclear deterrence can fail, it will be too late. 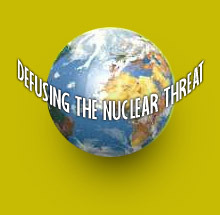 Because the problem with society's trial and error approach is most easily seen with the nuclear threat, I believe that working on this issue – and then connecting it to the others as described in Section 6 – is the most effective way to work on all issues where the problem is a lack of long-term thinking. What about the Russians? Aren't they returning to their bullying tactics? The goal of this effort is to get society to assess the risk posed by nuclear weapons and that in no way limits our government's ability to deal with Russian actions. However, it should be noted that the current Russian perspective is the mirror image of ours. They see us as bullying them. For more information, see email #5 and email #20 to participants. What about North Korea, Iran and other rogue states? Just as this effort's goal does not limit America's ability to deal with Russian actions, neither does it limit our ability to deal with any other nation. And, again, the North Korean and Iranian perspectives are the mirror image of ours. For more information, see email #18 and email #19 to participants.